Rev. 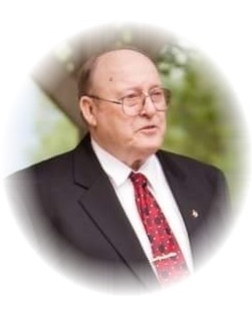 Lloyd H. Lively, 82, of Soddy Daisy, went home to be with the Lord surrounded by his family, April 11, 2019. He retired from Chattanooga Glass Company, and was a member of Daisy Masonic Lodge #706 F&AM, the Alhambra Temple, the National Sojourners and The Tennessee Order of the Eastern Star Chapter 360. Lloyd was known as a die-hard University of Tennessee Sports Fan. He was preceded in death by sons, Sonny & Bern Lively, granddaughters, Shanna, Mandy and April Lively along with five sisters and three brothers. Lloyd is survived by his wife, Virginia Lively; sons, Steve (Amy) Lively, Linden (Terri) Lively; daughter, Elaine (Bill) Copeland; sister, Janie Hughes; several grandchildren and great-grandchildren; along with his extended family, Joyce, Jim and Gary Murray. Visitation is 4:00 P.M. to 8:00 P.M. Saturday. Services will be 2:00 P.M Sunday at Williamson & Sons Funeral Home with Brother Luther Queen officiating. Burial will follow in Presbyterian Cemetery.